The culinary offering from Breizh Cafe is a cut above typical Breton cre pes and galettes. Working with exceptional raw materials is the principle at the heart of Bertrand Larcher's culinary enterprise. Using only the best products - including the highly regarded Bordier butter - all his core ingredients are locally sourced and made by Brittany' s top farmers and artisans. His singular approach forms the driving force behind this book, where he has gathered over 60 original cre pe and galette recipes. Simple yet premium-quality Breton products are combined with unique flavours for an authentic and surprising result: Breizh roll with goat' s cheese tartare, smoked salmon and ikura galette, chicken and cider sauce galette, honey and saracen ice cream cre pe. 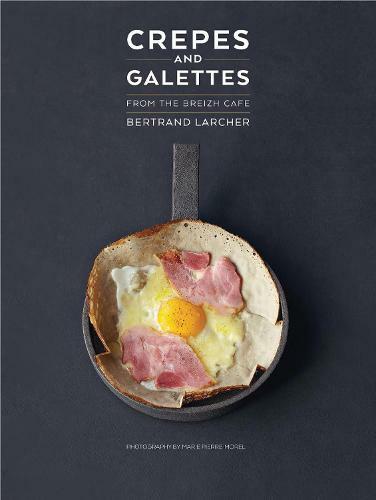 Creating enhanced traditional recipes that become exceptional dishes is what Breizh Cafe stands for - the perfect balance between simplicity and excellence.